The Hinderer Knives 3.5" XM-18 Skinner flipper with Olive Drab textured G-10 is yet another outstanding entry in the XM-18 line of folding knives. Rick Hinderer is known for making tough tools that can handle a variety of operations, and the 3.5-inch Skinner is specially designed for hunters and other outdoorsmen. 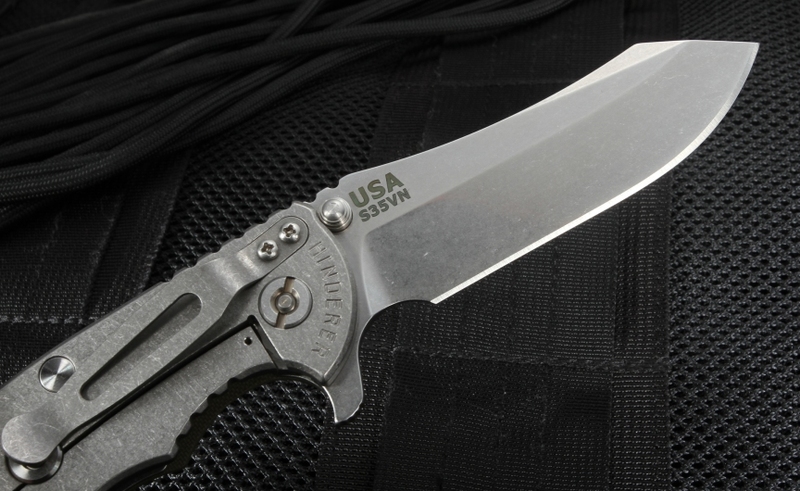 Just like you, this American-made tactical knife is right at home in the woods. The 3.5-inch Skinner blade on this Rick Hinderer Knives folder is constructed of stainless CPM S35VN steel. All XM-18 models use this premium steel because it provides a superior combination of corrosion resistance, edge retention and ease of manufacturing for the money. Skinner blades have a flat grind and a sturdy, versatile shape with plenty of belly that's easy to control. The blade has an integral flipper as well as dual thumb studs that lock against to frame to add sideways strength without stressing the pivot. Jimping on the thumb rest of the blade and handle spine provide positive forward traction. 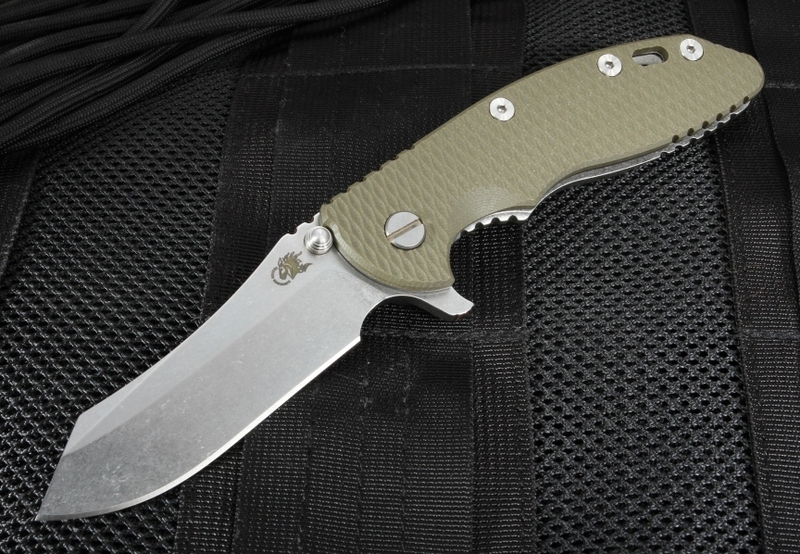 The handle of the XM-18 Skinner is constructed of aerospace grade titanium and textured OD green G-10 that adds a camouflaging effect for outdoor use. 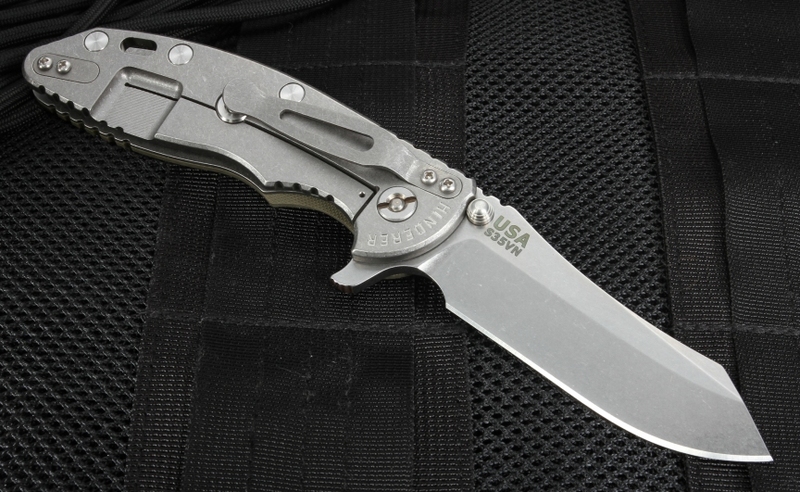 At an overall weight of 5.6 ounces, the knife is light and portable. 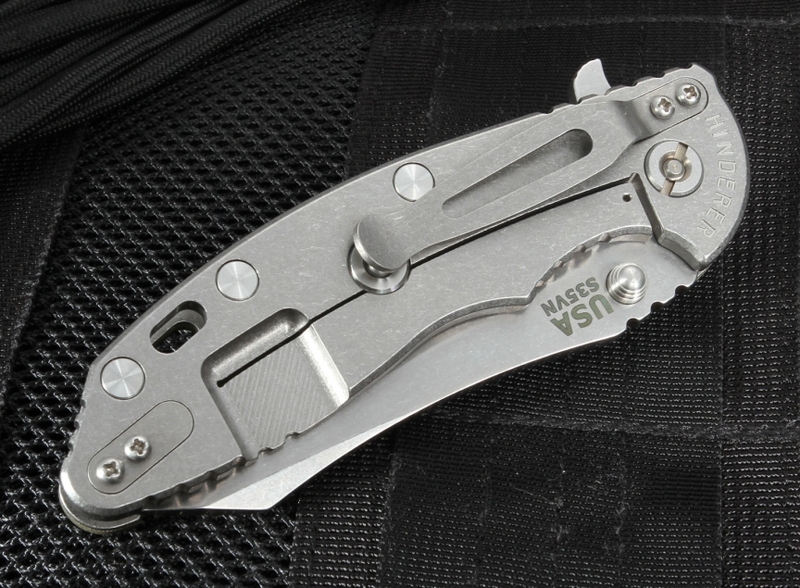 It has a frame lock design with a Hinderer lock bar stabilizer that prevents the bar from traveling too far and ruining the springs. 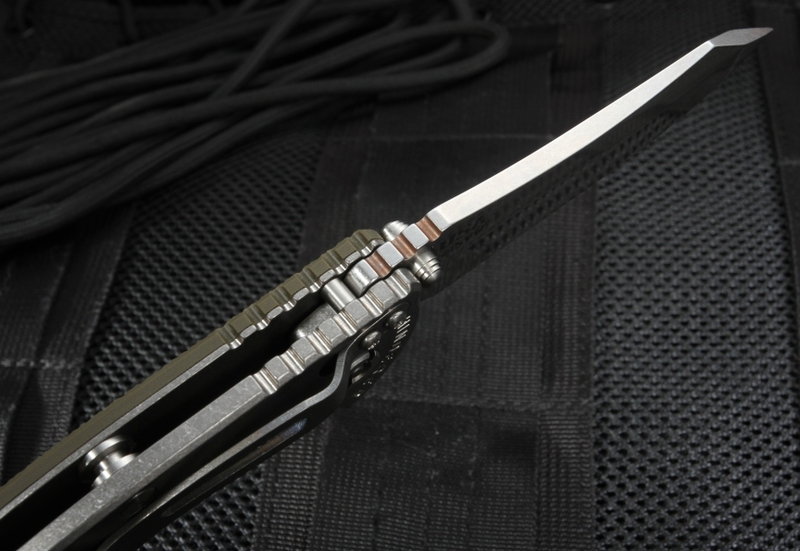 The titanium pocket clip is reversible, so you can carry your blade either tip-up or tip-down. Or you can carry it around your neck using the lanyard hole in the rear of the handle. Both the blade and handle have matching stonewashed finishes that are excellent for concealing fine scratches that are a result of heavy use. With the XM-18 Skinner Frame Lock Knife, Rick Hinderer has created a tactical folding knife that will thrive for branch clearing, gutting and other tough huntsman tasks. KnifeArt.com will get this outdoor flipper knife into your hands fast with our free same-day shipping. It comes with a lifetime limited manufacturer's warranty on defects and performance.